This Christmas tree sale is organised by 4th Ewell (Nonsuch) Scout Group. The Group was established in 1944, and has been providing high quality Scouting to young people aged between 6 and 18 years old in the local area for over 75 years. The Group is a registered charity, number 305718, and our Headquarters is in Bluegates, London Road, Ewell which is the hub of weekly meetings. The proceeds of our tree sales have helped every member of the Group benefit from new resources and activities. We have been able to purhase new vehicles, invest in a equipment for an archery range and also refitted the kitchen at our HQ. In recent years we have purchased a bouldering wall to compliment the modular caving system we bought from our friends at 8by4 following the 2013 sale. 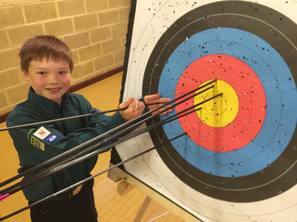 Funds have also been used to subsidise the cost of activities and camps to ensure scouting really is available to all. For more information about Scouting at 4th Ewell please visit our main website www.4thewellscouts.org.uk and to see what our Group gets up to in our online gallery and facebook page.